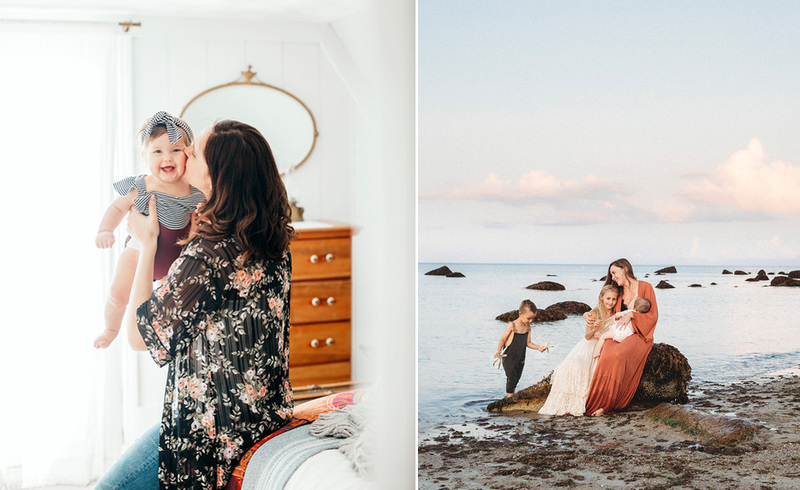 Light and bright airy newborn lifestyle portraits with Graham and his adoring parents. We actually just did a one year session for him and will be following up with one more session this year on the beach before fall rolls in. I thought I would answer some common questions I’ve received to help you better understand my process. ~I’ve dropped the ball and did not book before the baby was born. She’s 2 weeks old. Can we still book as session with you? A: Yes! Because my newborn sessions are lifestyle in nature, the baby does not need to be under 10-14 days old as some studios require. We can shoot the day after you get home from the hospital or as soon as you are feeling up to it. Some mothers with c-sections might need a little more time to get back on their feet and that is OK! 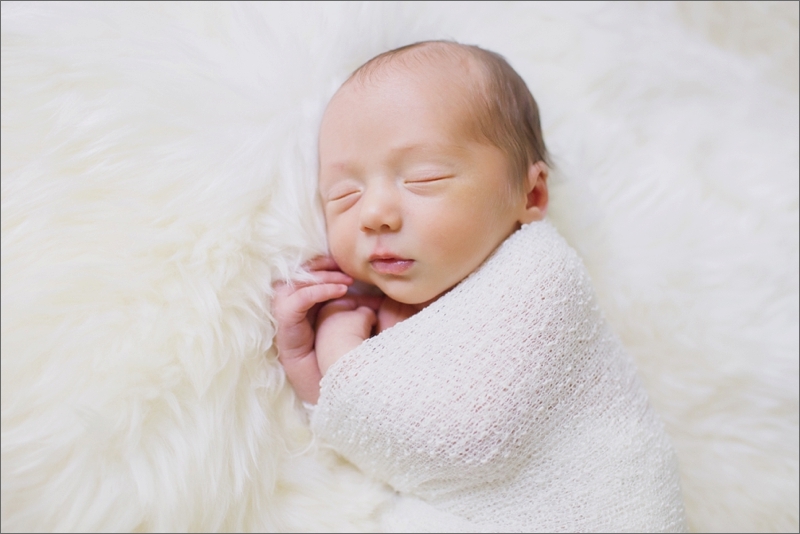 I generally say any time up to 4 weeks to get those sweet sleepy newborn shots of your baby. However, there are some parents who really love the wide awake alert photos that showcase their cleared up eyes and a personality starting to peek through which can be up to 6 weeks. ~My house is a bit in disarray since the baby came home. Is that a problem? A: Don’t worry about it. We will pick a few spots in your home to shoot–generally the master bedroom, nursery and living room. If the rooms we are working in have an overflow of new baby items, laundry, etc we will create smaller, more intimate vignettes that focus closely on you and the baby. I will take a look around and move things (with permission) off side tables or out of the way to create a less cluttered shooting environment. ~I love all of the headbands, bonnets and wraps I’ve seen in your images. Are those your clients’ or do you bring them? A: I have lots of beautiful accessories and wraps for you to choose from and also encourage you to include and special heirloom items that hold special meaning to you and your family. ~I’ve had no time to think about what to wear. Can you help me? A: An emphatic YES! I love working very closely with my clients on wardrobe for their sessions. I feel very strongly that clothing can make or break a shoot. I want to make this as stress free as possible and of course want you to feel your best. I generally recommend soft, neutral colors but will also take into consideration the color and tones of your decor. What works in one room might not in another. Therefore, I sometimes suggest two outfit changes which also gives great variation to your gallery. ~I have two older children. Can they be part of the session? A: Absolutely. In-home newborn lifestyle sessions are beautiful and unique as they focus on the interaction between you/your family with the baby. It is a more relaxed approach to capturing this very special time in your life with the new addition. We will generally start with the sibling shots and then segue into family, shots of mom/dad alone with baby and then solo shots baby. These are often times the images used for birth announcements so I try to create a vignette similar to “studio style” images specifically with that in mind. ~Do you design custom announcements? A: Yes! Along with other gorgeous boutique items such as Storybooks and Albums! These are the perfect keepsakes for you to treasure for a lifetime. Have any other questions about booking your lifestyle newborn portraits? Email or call anytime–I’d love to hear from you!